The work is titled "Good Wish from Big Fish". The artist is Shih-Yi Yang. On the 5th anniversary of the Sunflower Movement, Audrey Tang, the Digital Minister of Taiwan, made a video statement about the movement and an upcoming exhibition on post-war social movements in Taiwan (at the National Taiwan History Museum). The Sunflower Movement Archive got a mention. See also the article "Remembrance of Contemporary Events: On Setting Up The Sunflower Movement Archive", to appear in Digital Scholarship in the Humanities, Oxford University Press. (Fully Paid) Summer Internship at the Institute of Information Science, Academia Sinica, Taipei, Taiwan. The application deadline is 2019-03-15. Communal Sharing of Sensitive Data. "Knowledge should not be accessible only to those who can pay," said Robert May, chair of UC's faculty Academic Senate. "The quest for full open access is essential if we are to truly uphold the mission of this university." 4slamK, Mike Linksvayer likes this. The costs of academic publishing are absurd. The University of California is fighting back. Samsung is funding some of the coolest decentralized projects, tools, and community efforts. Congrats @cwebber! Matteo Bechini, AJ Jordan, Mike Linksvayer, McClane and 3 others likes this. AJ Jordan, McClane, McClane, Christopher Allan Webber shared this. I probably never will read this book, but this review really does pique my interest. 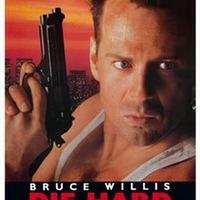 McClane, 4slamK, Mike Linksvayer likes this. McClane, Mike Linksvayer shared this. "Kazakhstan's Foreign Ministry says China is allowing more than 2,000 ethnic Kazakhs to renounce their Chinese citizenship and leave the country." "Those allowed to return so far have been largely Kazakh citizens or those with spouses or children born in Kazakhstan. One 23-year-old Kazakh citizen, who asked to be identified by her nickname Guli to protect her family from retribution, was able to return from Xinjiang in July after being separated from her husband and two children for more than two years. She said she broke down in tears after a Kazakh official called to say she might be able to return." That is Tamsui river. We were standing at the northern edge of the Taipei basin looking south. The river is running northwestern to the estuary. Tyng-Ruey Chuang liked New blog post: "Debian is back in the Mastodon/GNU Social fediverse, follow fosstodon.org/@debian"